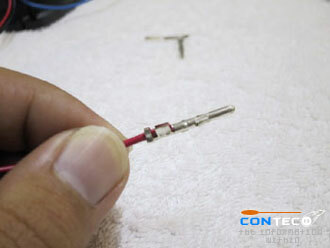 We will guide you on how to crimp a Molex connector. 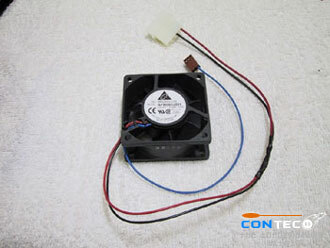 The example here is useful if you intend to connect your CPU fan directly to the Power Supply molex. This is good as some of you might know that some CPU fans take in more current and your motherboard might not be able to supply enough current. 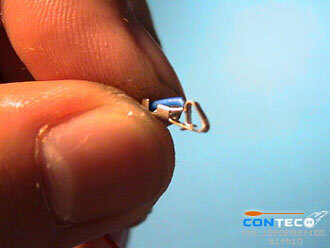 The material used are, a tiny flathead screwdriver, a crimping/stripping pliers, a 4-pin male molex and 2 molex pins. 1) Hold the 3pin molex holder. 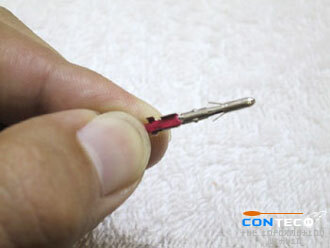 2) Use tiny flathead screwdriver to remove the molex pin. 3) Leave the sensor, as it can be used on the motherboard. 4) Strip the end of the cable. 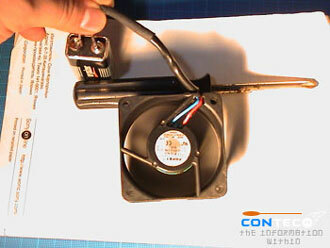 5) Place the molex pin to the cable. 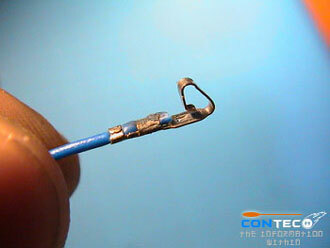 6) Adjust the cable in place with the molex. 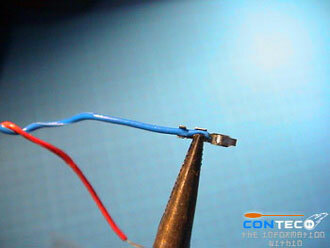 7) Crimp the molex tight to the cable. There you have it. Now apply to the next molex. 9) Insert the molex pin to the holder. 10) The finish product. 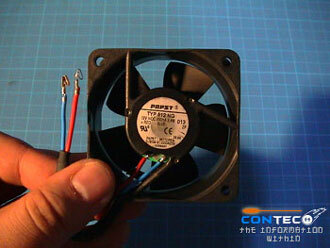 We will guide you on how to test the polarity of any fan before you crimp on either the 3pin or 4pin molex. 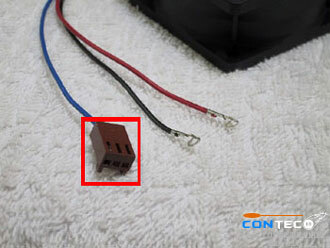 As a start, you may be unsure of the wires to be inserted into the molex connector as there are some fans that do not have standard red & black colours to define the positive and negative poles. 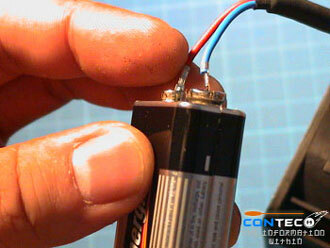 You can use a 9volt battery for a simple test to check the polarity of these wires on your fan. 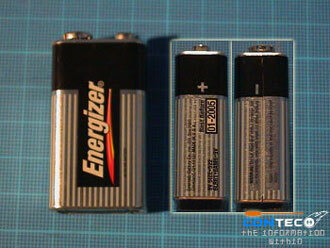 Take note of the – and + sign of your battery. 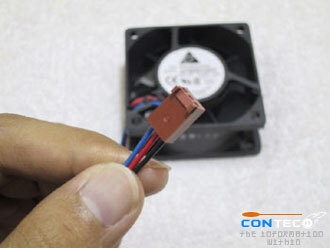 As the voltage is rather small, it will not damage your fan if you connect it wrongly. If you connect the right way, the fan should be rotating. Now take note of the polarity. 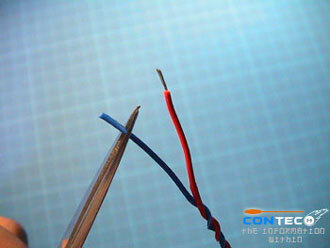 For this example here, the red wire represents the positive pole. As for the blue wire, it’s the negative pole. Please remember the colours and polarities as we have a guide below to show you how to connect to a 3pin or 4pin molex. 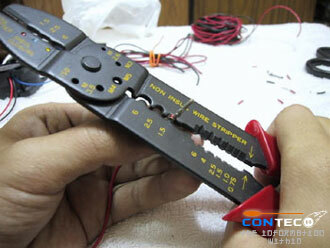 Now expose some bare wires with either a wire stripper or a pair of scissors. Now bend the bare wires down as shown above. 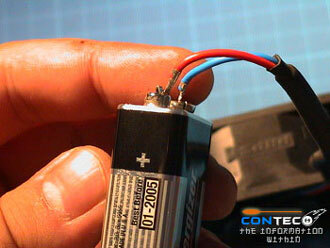 With the bare wires facing downwards, place it in contact with the molex pin shown above. 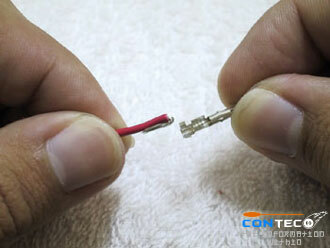 The example here is to crimp on a 3pin molex pin and the same applies to 4pin molex pins too. 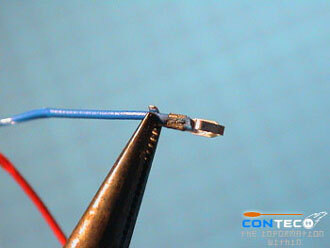 Now using a long nose pliers, crimp the top two fins of the molex pin as shown above. 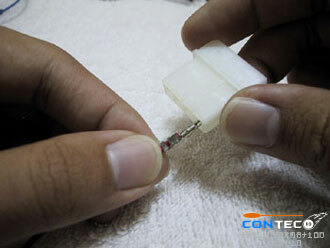 Apply the same method on the bottom fins of the molex pin. Now you have it, a well secured fan wire on a 3pin molex. 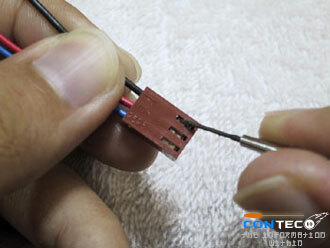 You can choose to solder the top fins of the molex pin to make it more secure. We follow strictly the color codes as stated here. 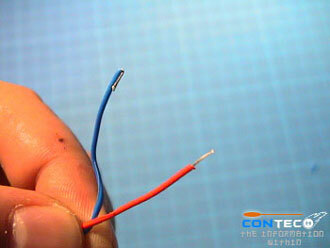 However there is indication of which pin to go into which hole of either a 3pin molex or a 4pin molex. For 4pin molex, the positive pole is connected to the slot where there is a number 1 indicator on the molex connector itself. The negative pole is connected to number 2 slot. 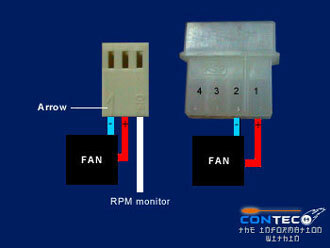 Connecting fans via 4pin molex is safer because it draws current directly from your power supply unit.